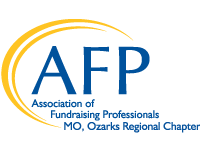 Primary Purpose of Job: Lost & Found Grief Center is looking for a Director of Development who is a motivated, detail-oriented self-starter, responsible for generating funds to ensure the financial stability and growth of the organization. This position will work closely with the Executive Director, Event Coordinator and Program Coordinators to build relationships with current and potential partners, support our annual events, and tell the Lost & Found story. As our 20th anniversary nears, we are seeking a dedicated professional who can lead and manage development in order to fund our Vision of Greatness. Primary Purpose of Job: The Marketing Coordinator’s primary responsibility is to assist the organization with communication priorities, special event content and essential messaging needs from the leadership team to enhance awareness of Lost & Found Grief Center programs and services. Primary Purpose of Job: The Volunteer Coordinator is fully committed to the mission of Habitat for Humanity as set forth in the affiliate content and works with the Development Director and in collaboration with all staff members to recruit, disseminate information, education, orient and retain affiliate volunteers while ensuring that volunteers have positive, productive experiences. To apply for this position, please email resume and application for employment to Abby Glenn, Development Director, by March 15, 2019. Please include Application for Volunteer Coordinator Position in the email subject line. No phone calls, please.